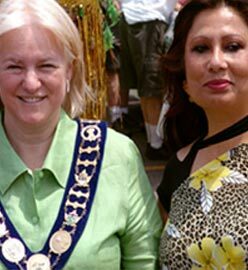 (Brampton’s Multicultural Event) come through without whom … each and every one of the above, we would not have had the motivation, the spirit, the inspiration to host the “Pakistan Pavilion”. This exciting celebration showcases the rich ethnic diversity, which exists in our city and helps to strengthen the cultural ties that bind us together. The success of the Festival is dependent on the hard work and dedication of hundreds of volunteers. Your sponsorship and support towards this world class event will help to ensure its success for the coming years. The idea of hosting the Pakistan Pavilion was merely to create an awareness amongst the Pakistani people of the spirit of multiculturism that exists amongst the more than 69 cultures existing side by side in the Region of Peel in the coming years. The Aims & Objectives of the ACPO Association for the Canadians Of Pakistani Origin is to support, encourage and promote the youth of the South-Asian community in the field of art, literature and music. The membership is free…so please do fill out the Volunteer/ Membership form which are available at the premises and give it to one of our members. We invite you to accept the challenge of taking the Pakistan Pavilion to the next level for 2007. This is an online site for information best available to us… Please send feedback for positive information only to the email address provided or on Facebook …to provide a positive image of Pakistanis worldwide and in Canada…our Homeland Canada and Motherland Pakistan …No responsibility is taken if information by mistake is not correct. Please do let us know. We do try to help our Canadian and Pakistani friends….We shall do our best to correct it …send an email to email address provided or a facebook message to our facebook page ACPO. You can send requests to join our Facebook page ACPO where we shall assess all posts are relevant and follow the rules of Facebook and our Group. Please enjoy our humble efforts to promote a Colorful Image of our Beautiful Homeland Canada and Beautiful Motherland Pakistan …. 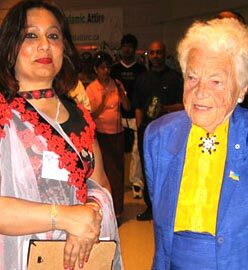 Long live Canada and Pakistan….